The Ether Dream 2 is an advanced network-based laser DAC. 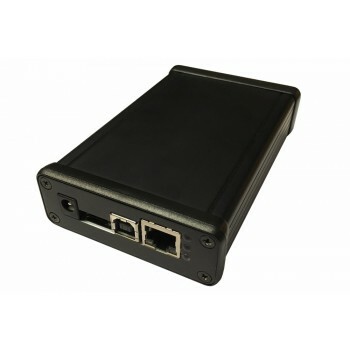 It supports Ethernet, USB, microSD, and ILDA, and is extensible over the ILDA connector and with internal headers. ED2 is protocol and driver-compatible with the original Ether Dream. Streaming playback over 100M Ethernet. Note: ILDA Cable not included.